Silfa, a young fairy princess, wakes up to find herself trapped in a different time, living with a human family she does not remember. She has somehow traveled into the future. How can she protect herself and reunite with her royal fairy family when Willie, the young boy from the broken home where she lives might actually see her? He, too, is lost in his parents' divorce and feels alone and alienated. So the sad boy and the brave little fairy strike up a friendship which helps them both grow and understand the world in which they find themselves. 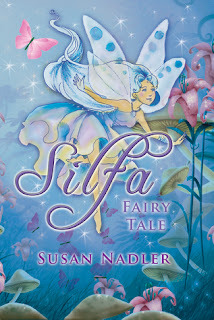 Silfa has all the qualities of a "good fairy princess" as well as a delightful wit. She tries to help Willie come to terms with his unhappiness while she attempts to reunite with her family in Ireland. She even has to fight off the monster Galonka from her former life who reappears to attack her. The book is a fantasy but seems believable and real, even though this is escape literature. Children, as well as adults, will enjoy immersing themselves in the story as they learn about real magic, and become anxious to know how it will end, yet reluctant to let it go. Nadler has captured the childhood fantasy of fairies with a story that transports you to a world you remember believing in as a child. And when it is over, you want to read more. 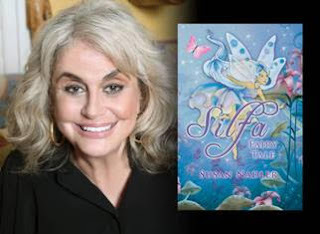 Award-winning creator Susan Nadler has combined her first two loves of writing and fairy tales in Silfa, a magical young adult book that is inspiring as the life Nadler has led. The character of Silfa came to her in 1977 and never left her side. As she launched a successful career in the music industry that led to winning two Grammys, running a record label and working with some of the most iconic figures in popular music, she continued to work on the book. When she was not reading, she wrote as a way to process her complex and sometimes overwhelming feelings and the resulting work won the school’s poetry prize every year. 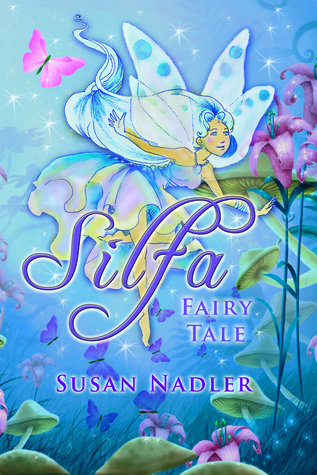 It is with the dreams of that young girl and the talent of an accomplished woman that Nadler wrote Silfa, the story of a fairy and the important life lessons she teaches a boy named Willie. “This is my favorite thing I’ve ever written because it is so different from my own life, yet I identify with Silfa,” says Nadler. “I have always dreamed that I fly and I still dream that I fly. I understood her; I understood the flying and the magic. Storytelling has been a constant theme throughout her impressive career. She began her career as a writer in Key West, Fla., during which time she released two non-fiction books, before moving to Nashville and working in the music industry as a publicist, record company executive, artist manager and television show producer. As an adult, she was able to live the fantasy life of which she dreamed as a child, but she remained a writer at heart. She served as publicist for artists such as Tammy Wynette, Bobby Blue Bland, and Clint Black before joining forces with Evelyn Shriver to run Asylum Records from 1998-2001. It was there they released George Jones’ Grammy-winning album, “Cold Hard Truth.” In 2001, she and Shriver launched Bandit Records to release the final ten years of critically acclaimed records by Jones. Along the way, she managed the career of country singer Lorrie Morgan, handled publicity for Farm Aid, and served as talent manager of the TV show Soundstage.